Advising mega retail outfit New Look on the acquisition and disposal of its numerous chains, handling the roll-out of Decathlon stores nationwide and managing the extensive portfolios of major retail players Specsavers, Footlocker and GAP are just some of the things Alistair Walton, a partner in Womble Bond Dickinson’s retail property team, is involved in. “It’s a very pragmatic arena. I enjoy the transactional nature, to be out and about collaborating with a large retailer and seeing the tangible result of them opening a new store — it has a great buzz to it,” says Walton, who joined Womble Bond Dickinson (or Bond Pearce as it was then) just over ten years ago. It’s an industry he has seen transform. Technology is infiltrating the high street and online retailer Amazon is spearheading the revolution. The Amazon-ificication of supermarket chain Whole Foods and the launch of Amazon’s virtual ‘dressing room’ app are just a few ways the global e-commerce giant has disrupted the market. We’ve seen household names Toys “R” Us and Maplin take a hit and collapse into administration as a result. What does commercial property partner Walton make of the high street’s upheaval? It’s a “natural adjustment”, he says, and there are a myriad reasons why. Changes to consumers’ shopping habits is one reason. Trips to big retail parks and shopping centres such as Westfield are now considered to be “days out” with shoppers tying in a trip to the cinema or restaurant rather than spending the day shopping. Consumers are likely to turn to Amazon or other online retailers for a “quick fix” rather than head to the old high street; something which has been aided greatly by their quick delivery services, as well as the convenience of being able to shop whenever, wherever. This contrasts with bricks and mortar stores that have opening and closing hour restrictions. New Look is one of the firm’s major retail clients. Last November, the high street heavyweight announced it was closing 85 stores. Walton, who advises the company, explains some of the reasons behind the cull. An unstable economic climate caused by Brexit and the devaluation of the pound, high business rates and stock choice not always aligned with its core demographic, all go some way in explaining the need for a restructure. Walton has been practising in the South East for the last 15 years of his career. In those years he has seen the southern legal market develop significantly. There have been many new regional entrants into the Southampton market as well as consolidation and mergers between some of the smaller law firms. “What we have seen from law firms is that Southampton is a legal market worth investing in,” he adds. It’s not just law firms. Many big corporates have set up bases in the region. DIY supply store B&Q, who is one of the firm’s major clients, is headquartered in nearby Eastleigh. Good location and transport links seem to be a huge contributing factor. Womble Bond Dickinson’s Oceana House southern base, for example, is a short journey from the region’s airport and mainline train station. Plus, it’s just over an hour by train to London. 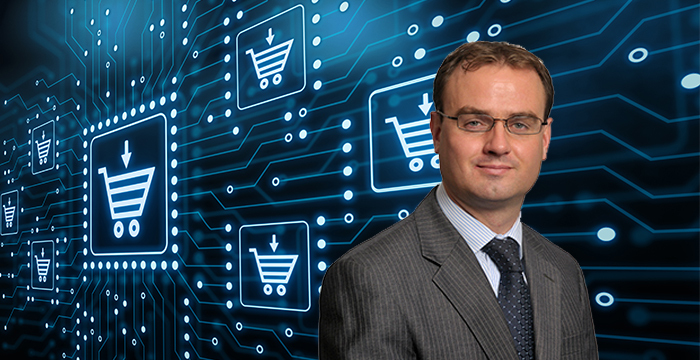 Alistair Walton will be speaking alongside other Womble Bond Dickinson lawyers at Thursday’s ‘How tech is changing finance, retail and the law’ event. You can apply to attend the event, which is free, now.